We offer our Client's with complete range of wound care and therapy Products & solution. IR LED Light Therapy Professional Patients with diabetes and subsequent poor circulation are difficult to treat when a patient presents with a history of falls, repeated infections, neuropathic pain and ulcers. It is clear that clinicians who face their patients daily, who present with pain, circulation deficits and psychological issues, need a simple, cost-effective method for the patients to experience relief. Neurolite Therapy is a medical device that emits infrared light at a wavelength of 890 nm along with visible LED light at a wavelength of 660nm, and can be applied to any area of the body, which may provide a relief for the patients. Neurolite Therapy device can be utilised safely by a Medicare Professional or by the patient themselves at home. 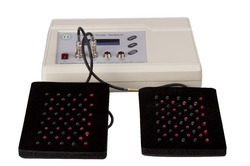 Neurolite Therapy device deliver monochromatic infrared light and visible LED light through therapy arrays, each treatment pad containing 30 super luminous IR diodes and 20 LED diodes. Positive results are expected after 6 treatments of 30-40 minutes duration. There are different size pads cater to different applications. 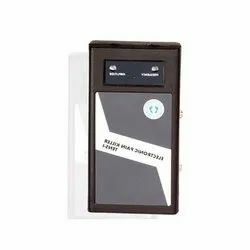 Neurolite Therapy device helps the patient if they can use early on to relieve pain, increase microcirculation, promote healing and relieve muscle spasm, it is possible to decrease pain levels, decrease the number of falls, the number of injuries and the necessity for amputations. It is also possible to increase the patient’s level of activities and quality of life, (due to reduction in pain) as well as overall patient compliance and satisfaction. Clinical applications include treatment of acute pain/injuries, chronic pain and or poor circulation in the extremities, diabetes, vascular diseases, muscle spasm/ stiffness and many more applications. Two mini LED pads and two long LED pads. Long pad - 71 Nos of 650nm RED LED and 56 Nos of 880nm IR LED. Timer in steps of 15 minutes. Inflammation is one of the earliest signs of tissue injury and ulceration. However the clinical signs of the inflammation are usually too subtle to be detected by patients or even by the trained health care providers. Skin temperature measurements can be easily performed and assessed by using a IR Thermometer as a diagnostic tool for diabetic foot ulcerations and Charcot arthropathy. Patients with diabetic neuropathy who monitor foot skin temperature daily can reduce the risk of ulceration more than 4 fold according to Lawrence A, Lavery, D.P.M and colleagues. Temperature are measured on the sole of the foot (first, third, and fifth metatarsal head; great toe; central mid-foot; and heel) and dorsum. Higher temperatures were considered to indicate ongoing inflammation. If the temperature of corresponding sites on the left and right foot differed by >2.2°C (4°F), patients were advised to contact the doctor and to reduce the number of steps taken in the following days until the temperature difference was <2.2°C. Early diagnosis and early treatment is crucial for the healing of diabetic foot lesions and resources for early interventions must therefore be available to take care of a higher number of suspected foot complications. Infrared Light Therapy, or photo-biomodulation, is a unique therapy that harnesses the healing powers of infrared light. 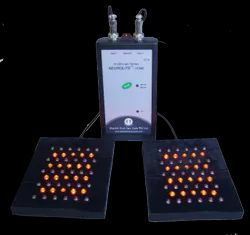 It emits specials wavelengths of light energy that dramatically increase circulation to injury sites and areas of chronic pain. The result is a rapid relief of discomfort, improvement in sensation, and regeneration of damaged tissues.. The greatest physiological responses are achieved through a unique combination of power, wave length, duty cycle, viewing angles, voltage, frequencies, LED density/sq.cm and overall coverage. Treatment with the Light Therapy system is simple and painless. Flexible pads, containing multiple infrared and visible red diodes, are placed directly on the skin over the area of pain or injury. Light energy from the diodes penetrates beneath the skin and is absorbed by proteins within cells that lay beneath the skin. Those cells release nitric oxide, the body’s natural vasodilator. After just 20 minutes of treatment, blood flow is increased to nerves and other tissues, and this boost in local circulation persists for several hours after the pads are removed. Photobiomodulation Therapy (PBMT) is the process of modulating the organelles of the body with wavelength specific photon energy to increase respiratory metabolism, reduce the natural inflammatory response, accelerate recovery of injury or stress at the cellular level and increase circulation..NASA research has determined that the radiant Power of Flux to produce reliable Photobiomodulation Therapy (PBMT) results must be equal to or greater than 0.050 W/cm2 (50mW/cm2). Depending upon tissue/muscle density or depth of injury, multiple doses may be required. Increase vascularity (circulation) by increasing the formation of new capillaries that replace damaged ones. New capillaries speed up the healing process by carrying more oxygen as well as more nutrients needed for healing and they can also carry more waste products away. Collagen is the most common protein found in the body. Collagen is used to repair damaged tissue and to replace old tissue. It is the substance that holds cells together and has a high degree of elasticity. By increasing collagen production less scar tissue is formed at a wound or incision. ATP is the major carrier of energy to all cells. Increases in ATP allow cells to accept nutrients faster and get rid of waste products more quickly by increasing the energy level in the cell. All food turns into ATP before the cells utilize it. ATP provides the chemical energy that drives the chemical reaction of the cell. Edema is the swelling or natural splinting process of the body. Edema has two basic components: the first is a liquid part, which can be evacuated by the blood system, and the second is comprised of the proteins that have to be evacuated by the lymphatic system. Research has shown that the lymph vessel diameter and the flow of the lymph system can be doubled with the use of light therapy. The venous diameter and the arterial diameters can also be increased. This means that both parts of edema (liquid and protein) can be removed at a much faster rate to relieve swelling. Reduce the excitability of nervous tissue: The photons of light energy enter the body as negative ions. This calls upon the body to send positive ions, like calcium among others, to go to the area being treated. These ions assist in firing the nerves thereby relieving pain. Fibroblasts are present in connective tissue and are capable of forming collagen fibres. An advanced debriding device utilising ultrasonic waves with a coupling solution such as saline to remove debris and particulate matter from the wound. The successful removal of necrotic materials and devitalized tissue from a wound is an essential first step towards wound healing. This system offers an extremely thorough debridement, with minimal pain sensation and excellent preservation of healthy, soft tissue. The built in, adjustable irrigation system allows cell debris, bacteria, and exudates to be easily flushed from the wound site, an important element in wound cleansing. A hand held device with dual channel of stimulation outputs. Designed for the patients use at home. Built-in dual mode of treatment provides Neuromuscular Stimulation (NST) and Muscle Stimulation(EMS). NST mode is used for the DPN pain and numbness. EMS is used for strengthening of the muscles. A combination therapy of both NST & EMS provides longer lasting results. Most patient feel the difference after five days of usage. Reduces the pain, improves the balance and motivates the patient to walk confidently. Helps the patient to sleep without the nagging burning sense and pain. Built-in dual mode of NST & EMS. 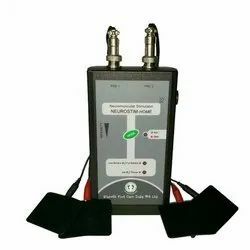 Built-in rechargeable battery provides 8 hours of continuous operation in NST and EMS modes when works with full load after one full charge. We are the manufacture, distributor and export of IR Light Therapy model Neurolite IR LED Light Therapy Home in India. 20 Nos. 650nm RED LED and 30 Nos. 880nm IR LED in each pad. 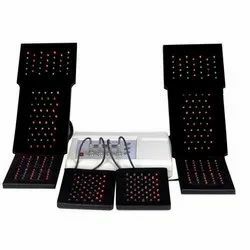 We are engaged in manufacturing, supplying, importing, and exporting an amazing spectrum of Therapy Equipments including Infrared LED Light Therapy. 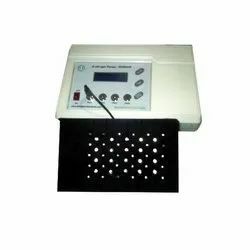 It offers continuous or pulsed operations and is activated by infra-red LED or red LED. It is used for stimulation of tissue granulation and connective tissue projections by improving vascular efficacy and stimulating fibroblastic properties. It facilitates selection of wavelengths and has a built-in timer. 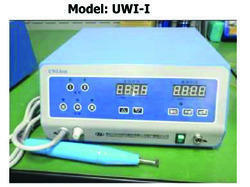 Looking for Wound Care & Therapy Equipments ?